Teresa please email me at sberkley51 at gmail dot com to claim your prize. 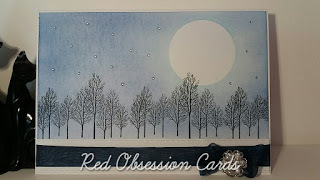 Thanks for stopping and I have another card to share with you for the wonderful challenge here at One Crazy Stamper this month. My stamp I am showcasing is from High Hopes Rubber Stamps from their Spring 2016 Release. This one is called Blooming Friends, and the sentiment called Everything Grows. I added some flowers and bling flowers to the bottom. 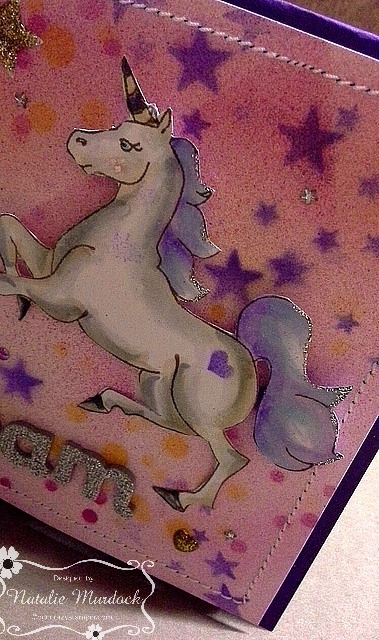 Colored my image with copic markers and popped the image up onto glitter cardstock. 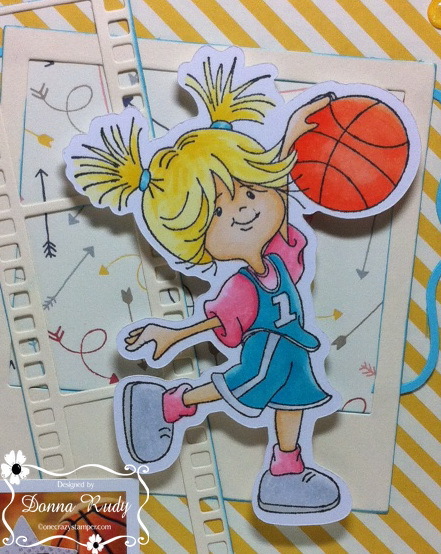 I hope you get a chance to play our challenge and stop by Lora's store and fill up supplies. Till next time happy crafting. TGIF! I've been dreaming about the weekend, a few days off work, sleeping in and crafting! Let's get this party started!! 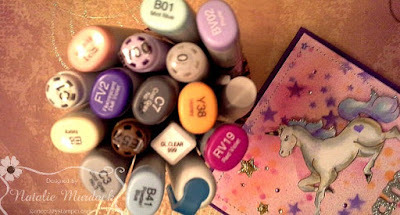 High Hopes Julie's Unicorn found here! 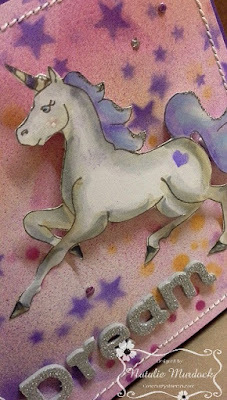 The background was airbrushed using Copic markers and a stencil for a mystical feel to the card along with some gems, silver Stickles and stitches. Happy Thursday OCS Fans! 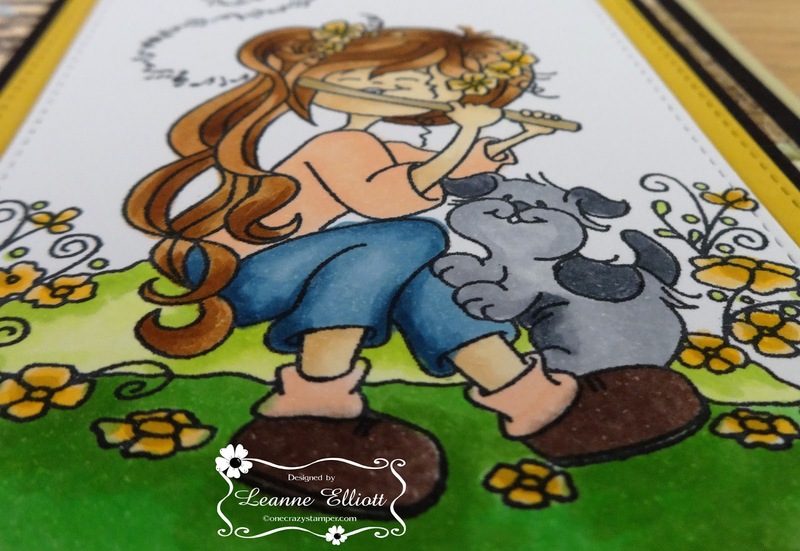 It is the last Thursday in May already but there is still time for you to play along in this month's challenge! 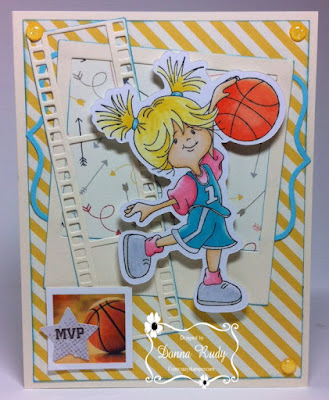 My inspiration post for today is made with "Dribble Master" from the Spring Collection 2016 from High Hopes. Today we find our dribble master getting her player photo taken and she's the MVP for the team this year! 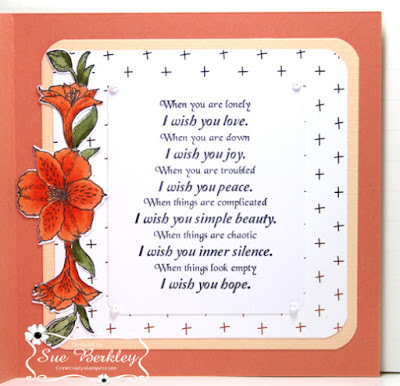 I will add the sentiment inside when I have an occasion to use my card. I started by cutting the matching svg file for the stamp with my Cricut, stamped it using my Misti and coloured her with SN alcohol markers. A film strip and polaroid die cut were added to from my background. 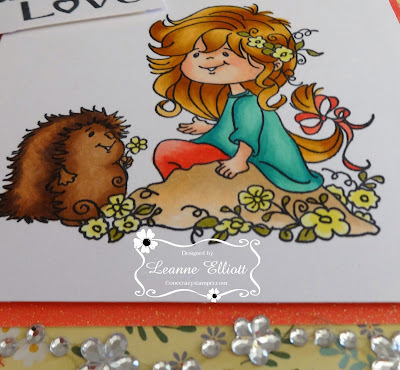 The patterned paper is from the 6x6 Life Documented pad from Simple Stories. I added some blue brackets from a Quickutz label and the MVP sticker is from Paper House. The edges are inked with Studio G ink. I added some sparkle with the Give Thanks for Sparkle gumdrops from Your Next Stamp. Hello all you OCS fans! Just popping in with a quick card using the new High Hopes Stamp called "Puppy Love" and the sentiment "Love Blooms". Nothing better than a hug to make your day complete from your furry friends! I chose papers from the Simple Stories Carp Diem 6x6 collection. 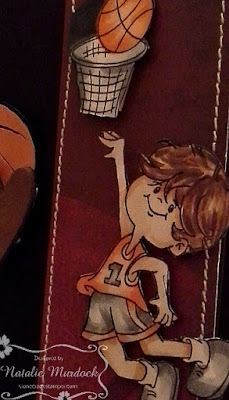 I cut out a bunch of different sizes of MFT Fishflags and layered them on my card. 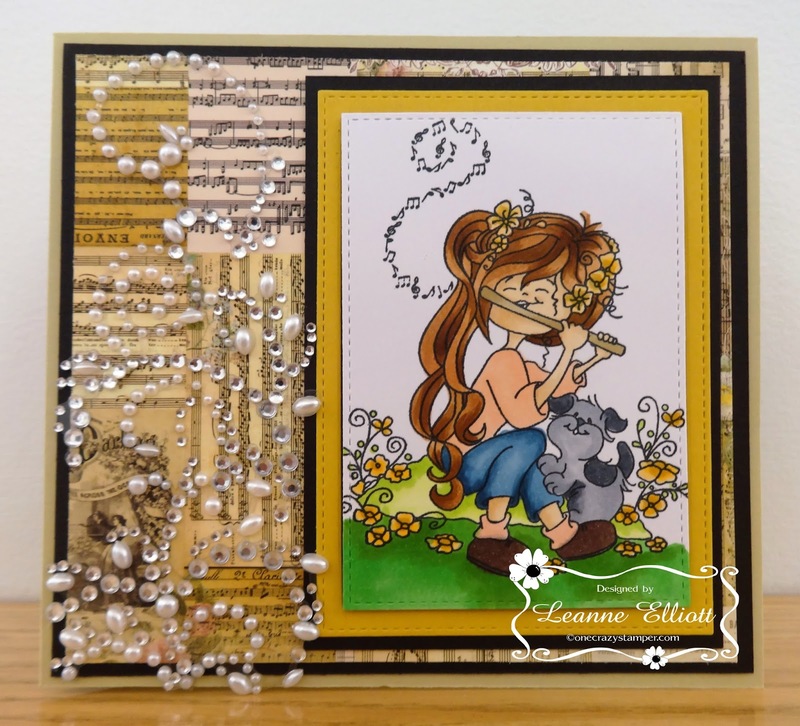 I added a bit of matching twine, some Stickles on her bow and a sprinkling of tiny heart sequins to finish off my design. 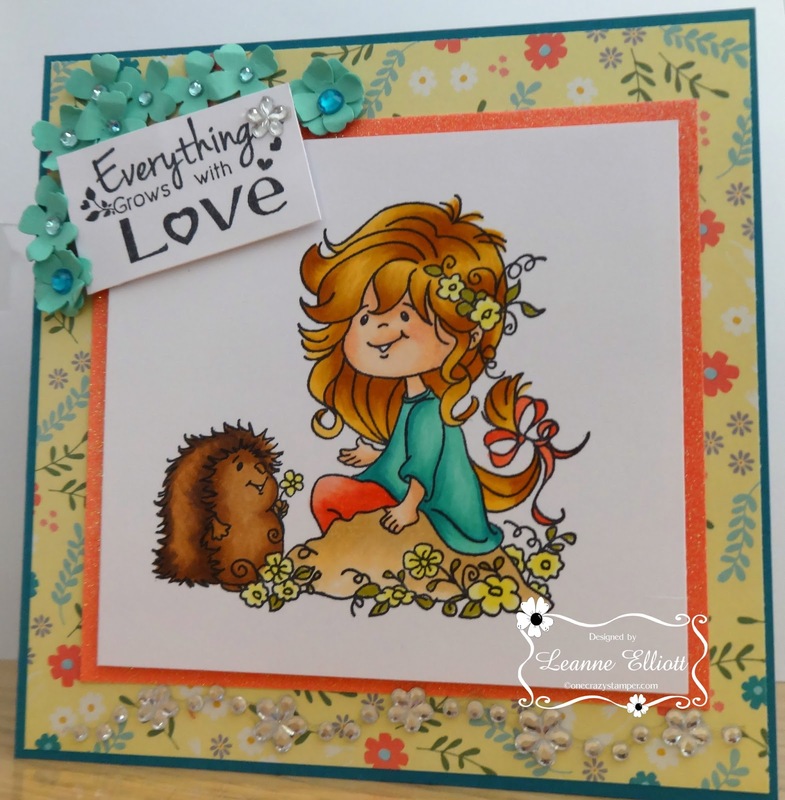 Please don't forget to link up your latest creation over on the OCS Blog in our May Challenge called "Anything Goes"! You never know you could be our monthly winner!! 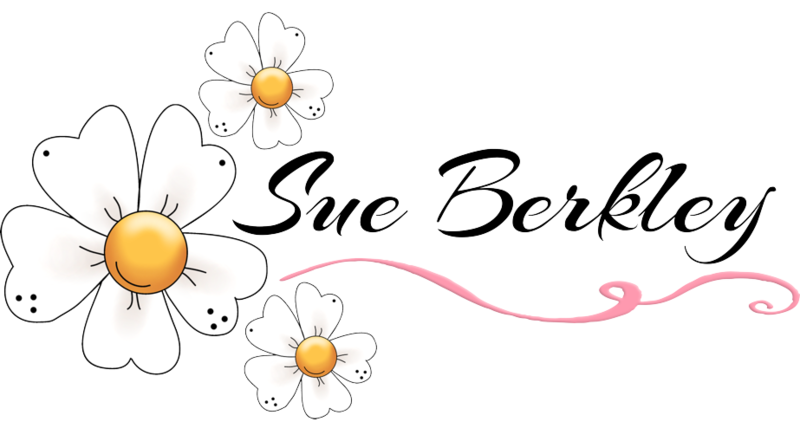 I hope you enjoyed the first long weekend of the summer and was able to spend some time with you family and friends. This time around I used some Heartfelt Creations stamps from the Sunrise Lily Set. 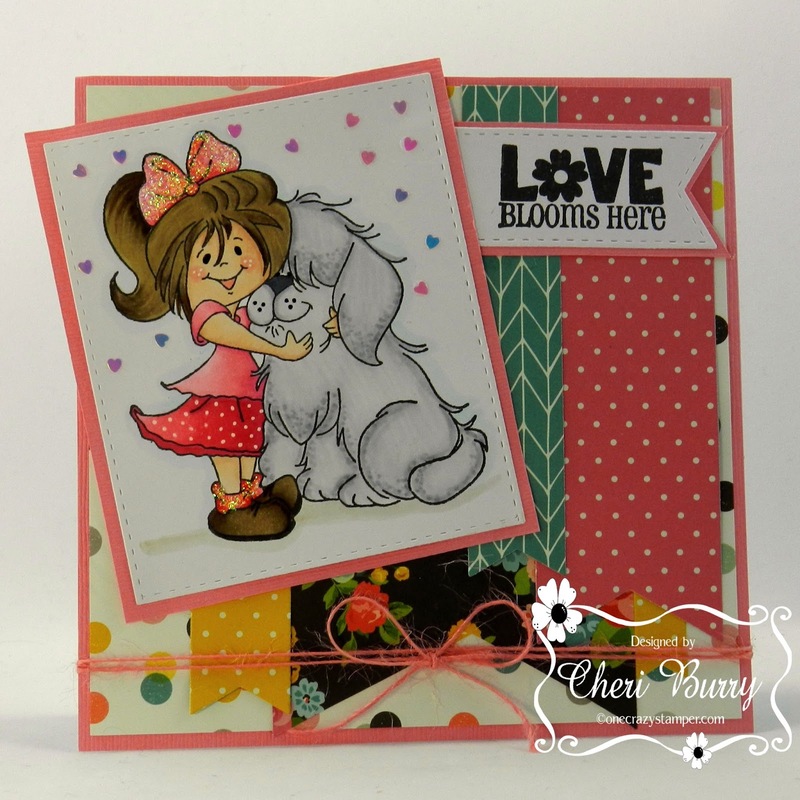 Next Saturday, Karen Gerber from Heartfelt Creations will be at OCS giving two classes. I am looking forward to seeing what else can be done with this collection. The background paper was done using the Heidi Swapp Minc Machine and some Orange Reactive Foil. 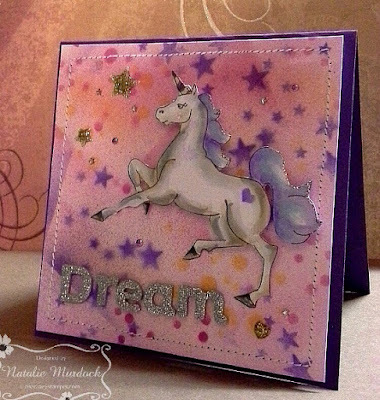 There is still time to enter this month's challenge for a chance to win 2 unmounted High Hopes Rubber Stamps. 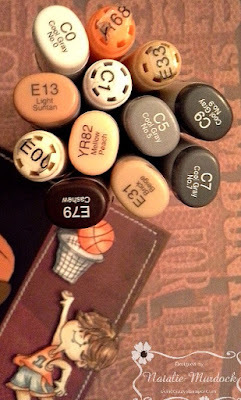 For any supplies that you need to do your project or just plain want, check out Lora's OCS store. Hello friends, thanks for stopping and today my card is for our challenge and you have time yet to play along. 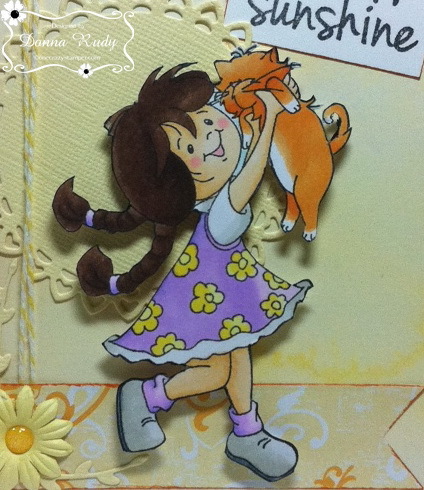 The stamp I am using today is from the Spring Release High Hopes Rubber stamps called Sweet Melody. Isn't she super cute, and the paper I used was some Bo Bunny I had in my stash. Added some swirl bling and stitched die. The image is popped up using craft foam. 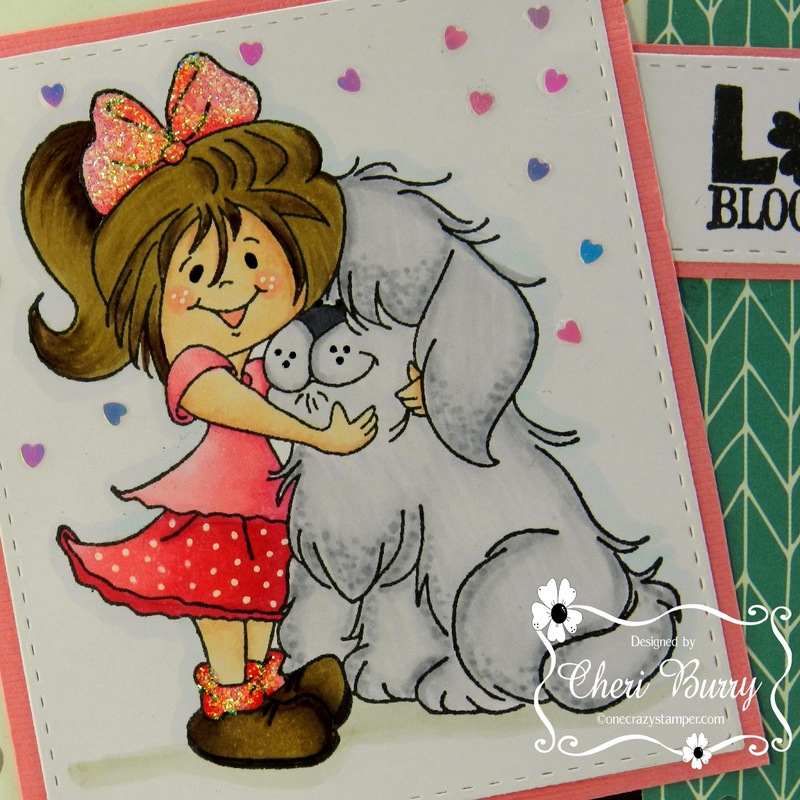 Stop by Lora's store for this and many other High Hope Rubber Stamps, and supplies. Till next time happy crafting. Wink of Stella, Xpressit Card Stock. 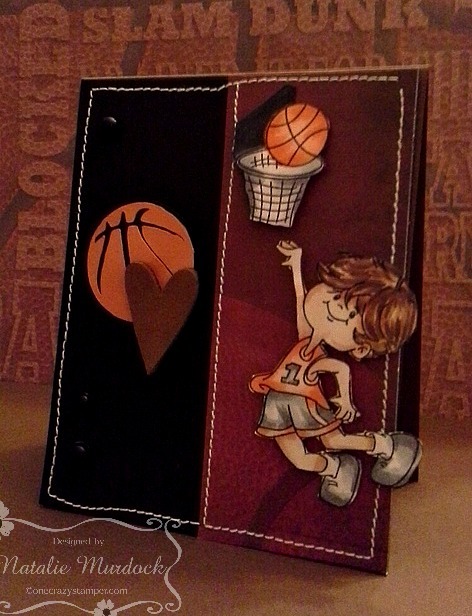 Just wanted to share my card using High Hopes Slam Dunk Stamp found here! I decided to make a two panel card design and tried to tie the two parts together with sewing stitches! 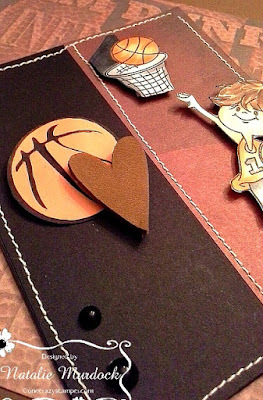 The heart is a leather die cut from my hubby's old work boot and this little cutie was coloured with Copics! The design is more simple and masculine (so ... no frills here!) 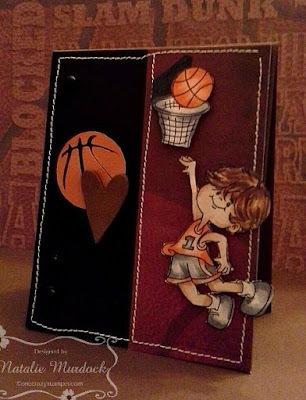 The pattern paper is actually a basketball print which really came in handy for this card! Here's the Copics I used! Wishing you an awesome long weekend! Hope you have time to get crafty! Happy Thursday OCS Fans! I hope you're all having a great week! 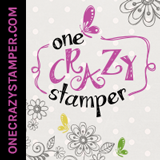 I don't know about you, but every once and awhile a stamp reminds you of a friend, situation or a fun time in your life. That happened for me this week when I used the "Besties" stamp. One of my dear childhood friends has an orange striped cat she has had for 16 years. Her name is Sunshine and she rules the roost over the dog! I have to be honest, I didn't want to try colouring the stripes on the cat, but I dis succeed with leaving her white belly and paw tips. The card in my head was working out fine until my favourite outlining marker ran out of ink a 1/4 of the way through outlining the stamp - grrrr!!! I ended up fussy cutting the stamp when I hadn't intended too! 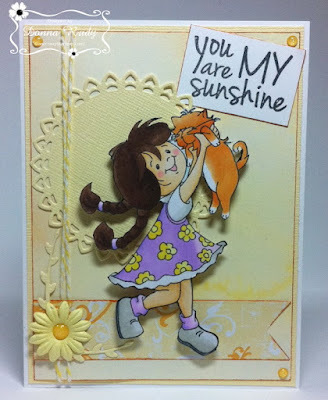 After colouring and fussy cutting my image, I cut out a doily from YNS for the sun. All the edges of the patterned paper from Basic Grey and Forever In Time are inked with pumpkin pie ink from Stampin' Up. American Crafts Twine, a flower from Prima and some sparkly gumdrops finish off my card. 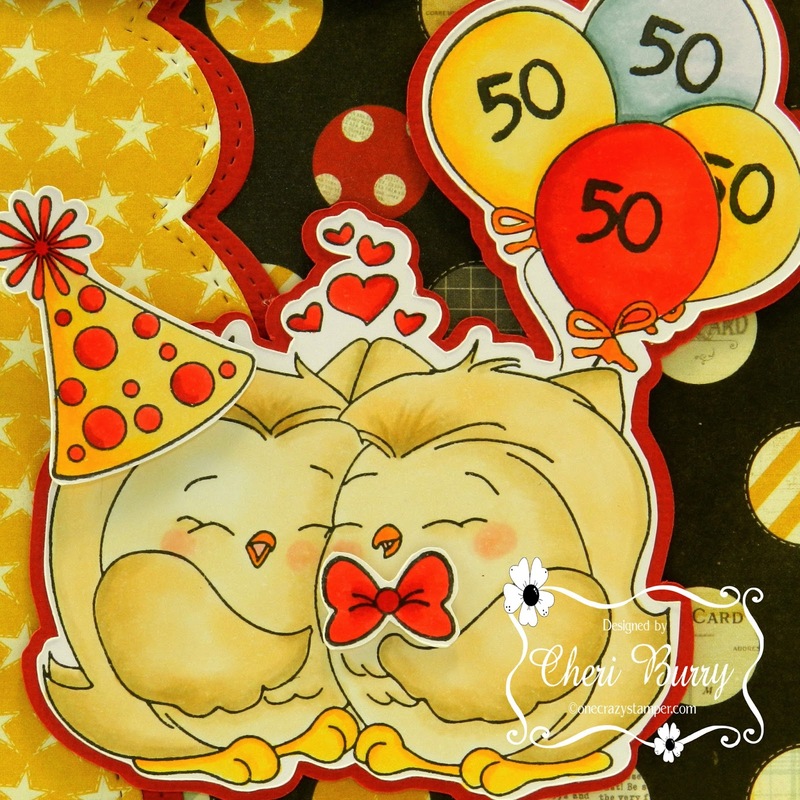 Today I'm sharing a card I made using the "Sweetheart Owls"! We were invited to a joint 50th Birthday party for a couple on the weekend and I thought this was the perfect set to use for their card! I love this line of Owls from the High Hopes Spring 2016 New Release. They have matching accessories that you can add to the images. 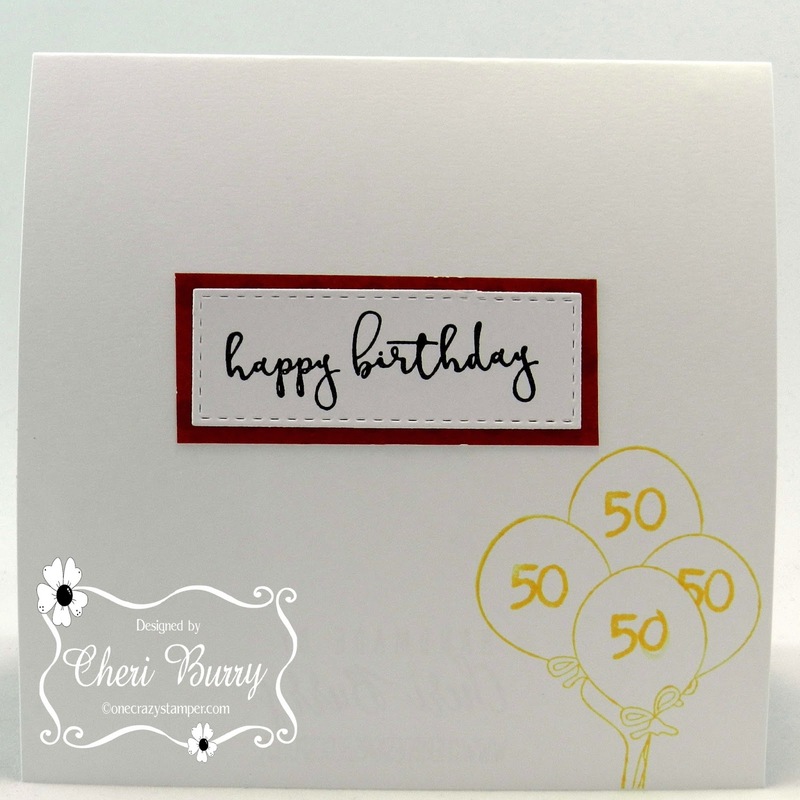 The "Birthday Hat", "Small Bow" and "Celebration Balloons" made this card perfect for the couple's 50th celebration! 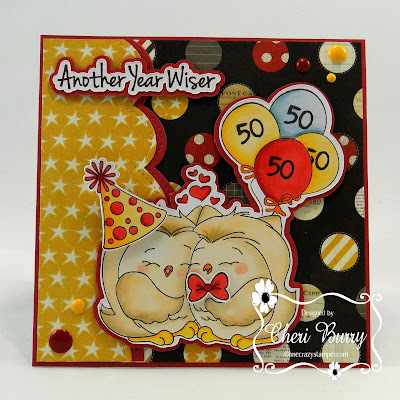 I also used the sentiment called "Another Year Wiser" and the matching SVG file on the front. 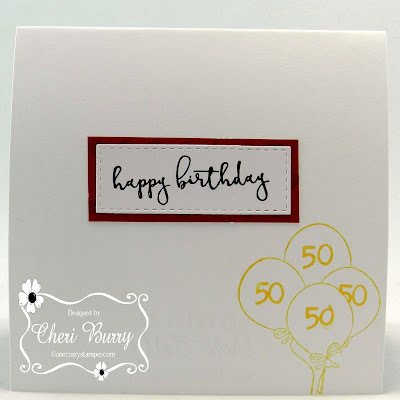 I love the added "50" I stamped on each balloon, it makes it so much more personal! 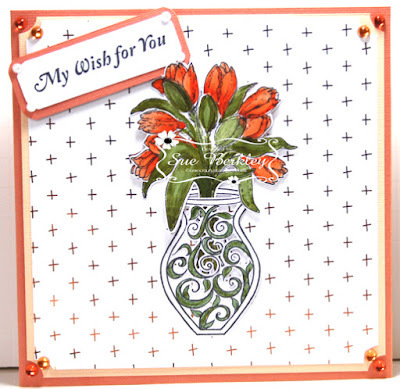 I used the "Fancy Script Happy Birthday" and re-stamped the "Celebration Balloons" in Cantaloupe Memento ink. 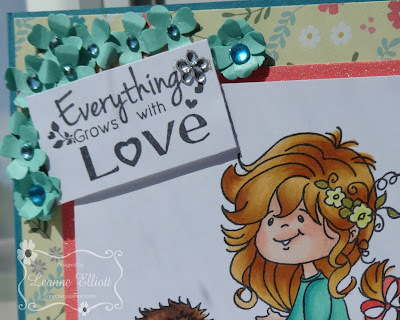 You still have time to enter into our May Challenge called "Anything Goes" over on the blog!